M.A.C Powder Blush - Well Dressed. M.A.C Prep + Prime - Light. M.A.C Paint Pot - Blackground. (outer corner, crease). 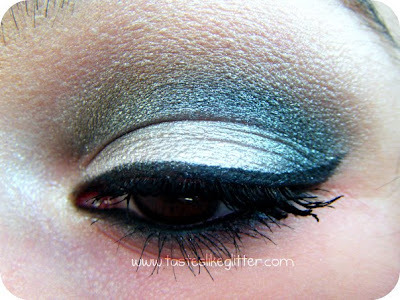 Eyeshadow 2. (all over lid), Eyeshadow 4. (outer V, crease), Eyeshadow 3. (above crease). 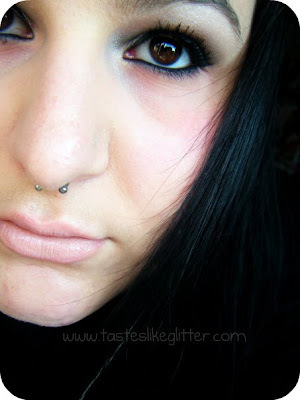 M.A.C Liquid Eye Liner - Boot Black. (upper lashline). Powerpoint Eyeliner - Engraved. (water line, lower lashline). M.A.C Lipstick - Close To Real. China Glaze - Free Love. GOSH Holographic (549) Nail Lacquer. Radiant Babe Beauty Haul 1. Oh My, I Actually Purchased Something Non M.A.C?! GOSH Velvet Touch Foundation Primer Review. A Small Purchase From Work. M.A.C In High Def Review. 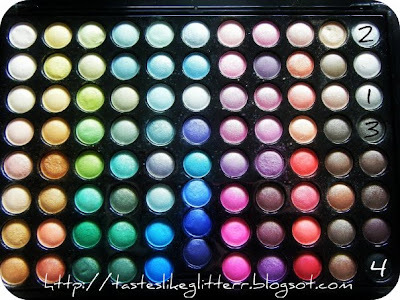 M.A.C Love That Look Review. Nails Inc. - The Mall.